Dr. Arnold serves as a Program Director managing translational research SPORE grant portfolios in prostate and bladder cancers. Dr. Julia T. Arnold obtained her Ph.D. in Experimental Pathology, UNC School of Medicine, University of North Carolina, Chapel Hill. Her postdoctoral training was with the NCI Cancer and Cell Biology Branch and with The Johns Hopkins Oncology Center, Division of Experimental Therapeutics. Dr. Arnold has gained scientific and technical expertise over 30+ years developing in vitro models in tissue microenvironment and cancer cell biology and cancer prevention, particularly as applied to hormonally-related cancers including endometrial and prostate. Dr. Arnold was a Staff Scientist/Lead Investigator for 10 years in the NIH - National Center for Complementary and Alternative Medicine (NCCAM) Intramural Laboratory, Endocrine Section. The laboratory established preclinical protocols to reconstruct tissue microenvironmental influences on prostate epithelial and stromal cell growth, gene expression, cell-cell signaling and steroid metabolic pathways. They evaluated hormonal effects of dietary supplements (dehydroepiandrosterone -DHEA) and phytoestrogenic natural products on the normal and cancerous prostate stromal and epithelial cells. Dr. Arnold has published over 30 peer-reviewed manuscripts and 2 book chapters and has been a member of the American Association for Cancer Research for 25 years. 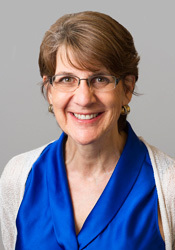 Following a position as a Program Officer with the NCCAM Extramural Grants Program, Dr. Arnold joined the NCI DCTD-Translational Research Program in 2011.